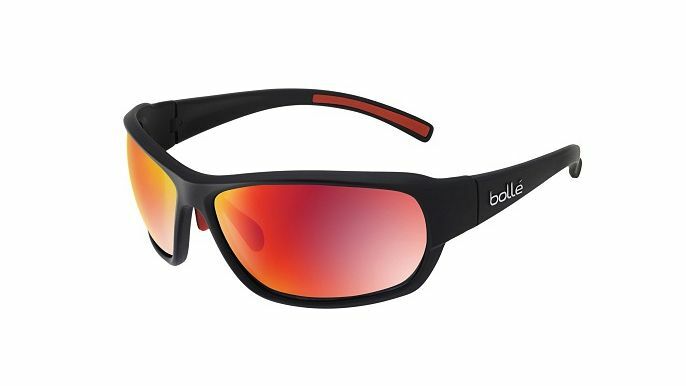 Bolle has revealed its 2017 Bolle Bounty performance sunglasses. The sunglasses, which come in four different varieties - Matte Black Polarized TNS Fire (as pictured), Shiny Black TNS, Matte Black Polarized Brown, and Shiny Black Polarized TNS - combine some of the most cutting edge shades technology currently on the market. bClear lens technology has been developed by Bolle to guarantee optical excellence in bright light, as well as naturally repelling dirt, smudges and debris, while Thermogrip nose pads and temple tips help keep the Bounty secure and on the wearer's face, no matter what physical movement the wearer is undertaking. The Bolle Bounty's frames are constructed from premium nylon and have been designed to be rugged and resistant to drops and impacts, while the Bounty's streamlined, smooth finish ensure that the sunglasses cannot be easily snagged on obstacles. Lastly, the polarised variants of the Bounty further enhance clear vision as the lenses align incoming light rays from the sun, heavily reducing glare, and are also treated with a anti-fog coating.